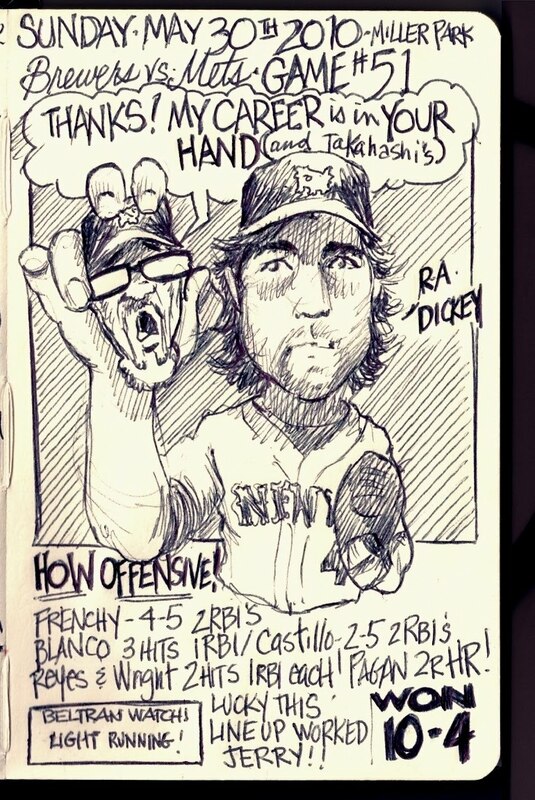 My Mets Journal: Knuckle Down! Black and white was planned.Kind of a nod to Willard Mullin. Glad you like it. This is the way I imagine newspapers did their sports pages back in the days before cable or even TV. Love it! 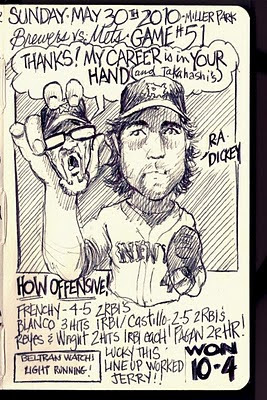 Dickey holding Jerry's head in his hand as if he was showing his knuckle-ball grip is fitting since many feel Jerry is a knucklehead with some of his baseball decisions. Exactly! You got the message!